Planning anything is tough. Creatively devising a Buffalo-area evening that is both entertaining and expertly stitched together is even tougher—until now. The Night Out is a suggested succession of stops for those looking for an arranged game plan for a night on the town. Maybe it’s for you and your friends, ones who can never organize anything. Maybe it’s the blueprint for a long-awaited chance at romance between a pair who can’t get on the same page. Or maybe it’s for you, a lone soul who wants to get out of the house and experience some of the finest food, drink and diversified entertainment the Queen City has to offer. Whatever the case, everyone needs a night out—and this February, we commemorate Black History Month. Here’s a recommended itinerary to celebrate African-American culture inside three popular Buffalo locales. In the perpetual chill of Buffalo winter, some foods warm us physically and psychologically. Beautifully baked mac n’ cheese? Absolutely. Perfectly cooked fried chicken? Check. Warm peach cobbler? Yes, please. Soul food sanctuary Je Ne Sais Quoi has all three of these items, along with an impressive menu of southern favorites able to turn a bleak February evening into an ebullient culinary experience. Relocated from its original home on Jefferson last fall to Hertel Avenue, the locale features its aforementioned poultry with two sides and cornbread for $16.50, along with a complimentary Kool-Aid for all dine-in guests. Will these fixings and flavors make it feel more like summer? Possibly, as will its rainbow-colored exterior mural, featuring late Tragically Hip frontman, Gord Downey—a guy who could certainly sing with some soul. After dinner, it’s time for a dive into Buffalo’s music history. And whether with memorable shows, beloved performance spaces or the litany of touring and session musicians who once called Western New York home, nowhere is this past more prevalent than inside the city’s now 101-year-old Colored Musicians Club. Once host to the likes of John Coltrane, Miles Davis and Ella Fitzgerald, the unassuming, 100-capacity walk-up space still stands as a testament to genuine music appreciation. 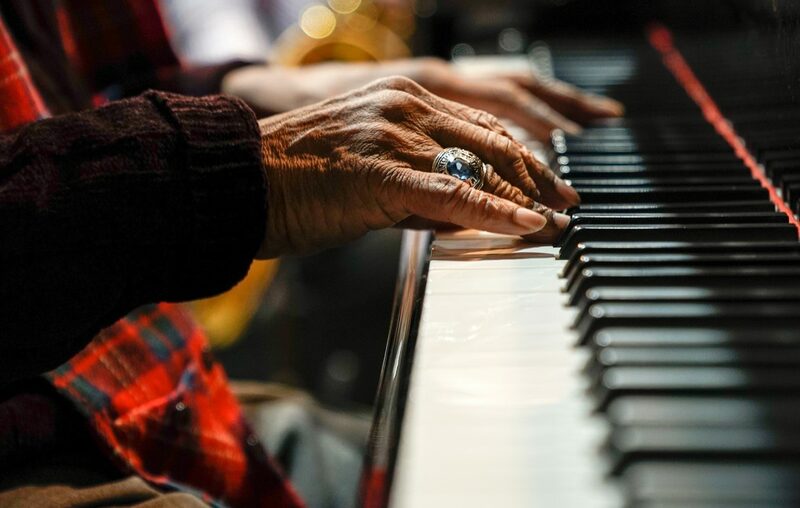 Its open rehearsals—featuring the George Scott Big Band on Mondays (7-11 p.m.) and Carroll McClaughlin Big Band on Thursdays (7-11 p.m.)—allow guests to enjoy how performances come together, whether relaxed in bingo hall-like seating, or at the bar with a few modestly priced drinks. On Sunday nights at 6 p.m., appreciation merges with collaboration, as musicians of all proficiencies are encouraged to bring their instrument and join the weekly CMC jam session. Which night should you visit? Depends how interactive of an evening you’re looking for. Following the music, head up Main Street past the Buffalo Niagara Medical Campus and find the always-accommodating confines of The Oakk Room. Established in 2011 by two Canisius College grads—Curtis McCutcheon and Dennis Wilson Jr.—the locale can either serve as a lively backdrop to WBLK-sponsored events, or simply as a place to settle in for a few colorful cocktails. Its fleet of martinis ($8) and signature concoctions are the main draw, with the latter featuring such selections as the Jimi Hendrix-inspired Purple Haze and the “You Can’t Touch This” tequila of its Hammer Time (both $10). And whether seated at the bar or surrounded by the locale’s eclectic interior decor, like its carousel horse and Bud Light spokesdogs (look up), you can settle in and enjoy the ambiance—and appreciate the end of your first Night Out.